From 2,240 to 5,291 sq.ft. 2014 Cavalcade of Homes Gold - Best Floor Plan (The Henley) Gold - Best Kitchen (The Henley) Gold - Best Family Room/Great Room (The Henley) Gold - Best Landscape (The Henley) Gold - Best Exterior (The Henley) Gold - Best Special Feature (The Henley) Gold - Best Foyer/Entry (The Henley) Gold - Best Interior Trim and Millwork (The Henley) Gold - Best Use of Technology and Building Products (The Henley) Gold - Best Window Design (The Henley) Gold - Best Decorating (The Henley) Silver - Best Floor Plan (The Macpherson) Silver - Best Window Design (The Macpherson) Bronze - Best Family Room/Great Room (The Macpherson) Bronze - Best Master Suite (The Macpherson) Bronze - Best Patio/Deck (The Henley) Bronze - Best Interior Trim and Millwork (The Macpherson) Bronze - Best Use of Technology and Building Products (The Macpherson) Bronze - Best Interior and Exterior Lighting (The Henley) Bronze - Best Decorating (The Macpherson) 2008 – ICON Award of Excellence Bronze - Overall Custom Design Gold - Kitchen Design Gold - Interior Trim Gold - Master Bedroom Silver - Interior Foyer Design Silver - Interior & Exterior Lighting Silver - Window Treatment Design Bronze - Floor Plan Bronze - Master Bedroom Bronze - Landscape Design Bronze - Window Design 2008 – ICON Award of Excellence Gold - New Home $2,000,000 and up Silver - New Home $1,000,000 – $1,500,000 2004 – Key Awards Gold - Outstanding Architectural Design Single Family Home - 3,101 to 3,200 square feet 2003 - Key Awards Silver - Outstanding Architectural Design Custom One of a Kind Home - 4,400 to 4,800 square feet Silver - Outstanding Interior Merchandising Single Family Home - 4,201 and over 2002 - Key Awards Bronze - Outstanding Architectural Design Single Family Home - 4,201 to 4,800 square feet 2001 – Key Awards Silver - Outstanding Architectural Design Single Family Home - 4,201 to 4,800 square feet Bronze - Outstanding Interior Merchandising Single Family Home - 2,401 to 2,750 square feet 1993 through 1999 Proud recipient of 18 Cavalcade of Homes Awards and two ICON Awards of Excellence Member Since 1986 NAHB (National Association of Home Builders) NIHBA (Northern Illinois Home Builders Association) HBAI (Home Builders Association of Illinois) Member Since 1995 BBB (Better Business Bureau) -King’s Court Builders has received an A+ rating from the Better Business Bureau’s rating system. KCB is proud to have received BBB Complaint Free Award each year since becoming a member. 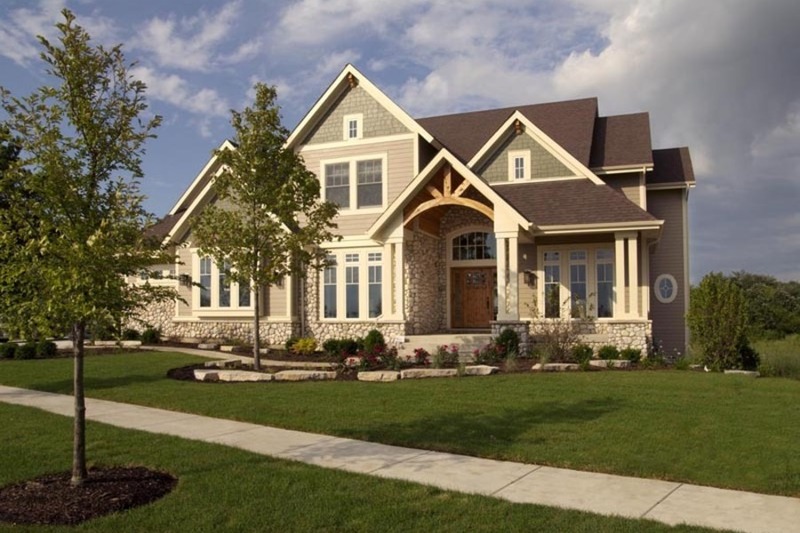 Since Pete Stefani began King’s Court in 1986, King’s Court has repeatedly proven to our customers that we are the builder to go to for a great custom home building experience. Our employees, trade contractors and most importantly, our homeowners will tell you that King’s Court is different for several reasons. 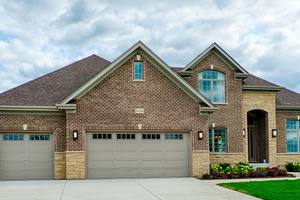 Honesty, integrity and an open door policy during construction, followed by excellent customer service after closing are just a few of the reasons that our customers have confidence in the King’s Court home building process. Why King's Court Builders, Inc.? With the busy lifestyle you lead, you can rely on King’s Court to help identify the features that you are looking for and have them drawn to your specifications. The process begins with a creative consultation. Some homebuyers have very definite ideas of where to begin and others begin with a blank canvas. Photos and/or drawings of what you have seen and like often help begin the process. We can also work from an existing floor plan and make custom changes. It’s your dream so the possibilities are endless. When a design has been finalized we will build your home with the utmost quality and value for which King's Court has been recognized. Throughout the entire process, you will work with a dedicated New Home Consultant for all your needs. They will answer all your questions, guide you through the building process and offer assistance when needed during your selections. They are available to listen to your concerns and help you make the best decisions for your new home. 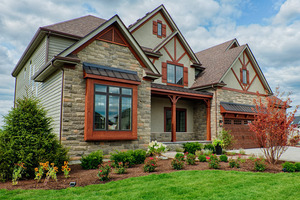 The home we build is YOURS so you have access 24/7 while the home is being built. We’ll give you a key to the home so you can stop by at your convenience and feel 100% confident that we have nothing to hide. Your door is always open for you. Our two-year warranty is a signature King’s Court offering and we’re proud to be the first builder to offer it in this marketplace. We take the one-year warranty that is required by state law for all new construction and extend it for a second year – in its entirety. This commitment demonstrates our confidence in our quality of work and our willingness to service our homeowners after they close.